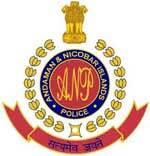 Andaman & Nicobar Police Recruitment 2017 – Apply Online for 60 Police Constable Posts:- Andaman and Nicobar Police has released latest notification for filling up 60 posts of Police Constable (Executive). Desirous & eligible candidates can apply online from 05/09/2017 to 04/10/2017. Age Limit as on 01/10/2017: Between 18 to 25 years for Male, 18 to 30 years for Females. Starting Date of Online Application :05/09/2017. Last Date of Online Application : 04/10/2017. Application Procedure : Candidates may submit their applications online at A&N Police website “www. police. andaman. gov. in’ from 05/09/2017 to 04/10/2017. The hard copies of application forms and other relevant documents/enclosures should be sent either in person or by post/courier or otherwise, so it should reach to The Deputy Superintendent of Police (Esttl, Police Head Quarter, Atlanta Polnt, Port Blafu, A & N Islands – 744LO4 lateet by 17OO hrs on 13/1O/2OU. Subscribe our free job alert mail for Andaman & Nicobar Police Recruitment 2017.